Looking for the original maker of stretched saddlebags? Milwaukee Bagger perfected the extended saddlebag that is now a staple of Harley-Davidson customization. Our extended saddlebag kits are made of quality materials and have been vouched for time and again by countless satisfied customers. Our saddlebag skid plates for bikes are easy to install and the fit is just right. No matter how familiar you are with using tools and installing custom parts, our stretched Harley bags are simple and straightforward to attach to your bike. Check out our selection and find the Harley Davidson stretched saddlebags kit that suits your riding needs and requirements. 2014-UP Dual Exhaust Angled Saddlebag. All of Milwaukee Bagger fenders & fender extensions will match up. Our Stretched Saddlebags are a direct replacement for your factory Harley bagger bags, for 2014 UP bikes using your existing stock mounting hardware and lids. White gel-coat outer and smooth black gel-coat inside. (ABS) PPO, 4'' Stretched Saddlebags are a direct replacement for stock Harley Bagger bags, for 2014-Up bikes use existing stock mounting hardware and lids. Concerned about scuffing up your saddlebag's paint, save them with Skid Plates! 1993-2013 Dual Exhaust Angled Saddlebag. Traditional Stretched Saddlebags are a direct replacement for factory Harley 1993-2013 Baggers. Uses existing stock mounting hardware and lids. Smooth gel-coat, white outside and black inside. For DISCOUNTED BAGS call us @ 706.253.232 to choose your BLEM. Traditional Stretched Saddlebags are a direct replacement for factory bags 1993-present Baggers and use existing stock mounting hardware and lids. Smooth gel-coat, white outside and black inside. The 2-into-1 Traditional Stretched Saddlebags are a direct replacement for factory bags on 1993-2013 bikes. White gel-coat outer and smooth black gel-coat inner. Use existing stock mounting hardware and lids. The Stretched Saddlebags are a direct replacement for your factory bags, for 1993-2013 FL's,FLT, FLH White gel-coat outer and smooth black gel-coat inner,using your existing stock mounting hardware and lids. 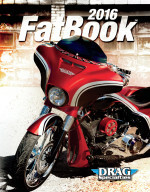 Designed specifically for Drag Specialties extended saddlebags, when adding a custom exhaust system or mufflers. Precision formed to match the exhaust cutouts in the saddlebags. Manufactured from the same material as the Drag Specialties saddlebags. Must be professionally bonded to saddlebags and requires some bodywork before painting. If you like the look of long saddlebags but you don't want to scrape the bags this is set for you! Saddlebags feature a full 2.75” extension across the entire bottom of the saddlebag Extensions give bags added space, as well as a true custom look Dual exhaust cut-outs. DISCOUNT CALL US 706.705.0025 The Stretched Saddlebags are a direct replacement for your factory bags, for 1993-present FL's,FLT, FLH White gel-coat outer and smooth black gel-coat inner,using your existing stock mounting hardware and lids. Saddlebag hardware kit to convert a bike with out bags to hard bags. Note: This kit has the four quick disconnect pins with washers. The "Saddlebag Gas Can" is designed specifically for your Harley Davidson saddlebags.
'' We Are The Original Stretched Deep Saddlebag Company "
using your existing stock mounting hardware & lids. In early 2008 we redesigned our CUSTOM DEEP STRETCHED SADDLEBAGS. we also rounded the bottom front corner to match your side covers. Please do not be confuse about Milwaukee Bagger's Stretched Saddlebags we do not sell cheap quality products. All my fiberglass products are made in Wisconsin not overseas or south of the border. The Stretched Saddlebags accommodate exhaust pipes from stock, oval and as large as "boomcans. "We also make saddlebags for 2 into 1 exhaust and for a custom look saddlebags with out exhaust openings. They come to you painter ready, with all mounting holes predrilled. We also prefit lids prior to shipping to insure you no hassle install.